This is a sanctuary space for women, trans and genderqueer folks who identify with the feminine within. We welcome you to the Moon Temple ~ a sanctuary space for women, trans and genderqueer folks who identify with the feminine within. 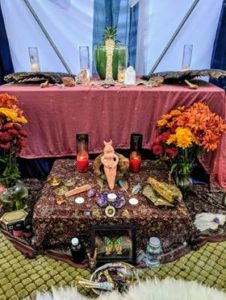 This temple offers a space to receive nourishment, inspiration, wisdom and empowerment through exploration and connection with the feminine. The Moon Temple is also offering a space for those who are bleeding (in menstruation) to rest, attune, and receive what your womb needs to honor this sacred time. What is the Moon Temple? 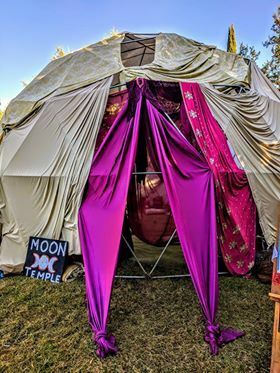 The Moon Temple is a place of honoring and empowering the feminine in ourselves, our communities and our movements so the balance may be restored. We seek to explore the integral role of the feminine in our earth stewardship and ways to weave her wisdom into our impassioned action. Through knowledge-shares, workshops, ritual and forums we remember and reclaim our relationship to the healthy feminine so we may rise in grounded alignment to meet the needs of these times. In many ancient and indigenous cultures that honored the womb, they had some form of a moon lodge ~ a place where women could go when they were bleeding to rest, receive and create, to attune and vision, to delve into self-reflection and prophecy. The bleeding time was known and honored as a time of oracular channeling and insight. 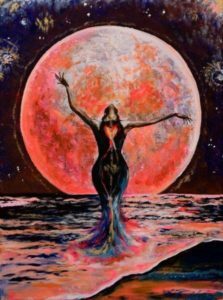 This Moon Temple honors the cyclical nature of the feminine and changing needs of our bodies and wombs ~ so we may restore balance to our relationships to ourselves and the earth. What will can I find at the Moon Temple? We look forward to seeing you in the temple and throughout the Convergence!